Planning on college? Interested in a quick $100,000? It’s free! Pledge now to graduate in 4 years, not 6, choose a college that will let you—and pocket $100,000! As MLK said, “Learn, baby, learn, so you can earn, baby, earn!” That’s the POWER of 4! Take your degree straight to the bank! It’s a fact! By graduating college in 4 years, you’ll save money (tuition and fees) and make money too—likely over $100,000! So what are you waiting for? Pick the right school, go full time (15 hours per semester), don’t lose credit in transfers, map it out. Changing schools costs YOU money! Did you know most college graduates accumulate 134 credits when 120 almost always works? Taking excess hours costs YOU money!
. To make a tax deductible contribution, please visit QuestforSuccess.com. gain self-sufficiency, self-esteem and economic freedom without the need to rely on government, charitable organizations or others to lead a happy, productive life. 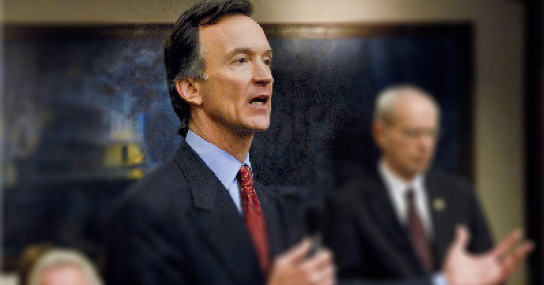 Tom Grady, Chairman of Quest For Success, is also a member of the Florida State Board of Education and a former state legislator. Along with the full Quest board, Tom is intensely interested in student achievement and success – regardless of a student’s background or circumstances. Quest has charged him with sharing its secret with you: graduating in 4 years rather than 6 is worth $100,000! Ready to take control of YOUR FUTURE...and bank $100,000? Graduating in 4 years will put time and money in your pocket. 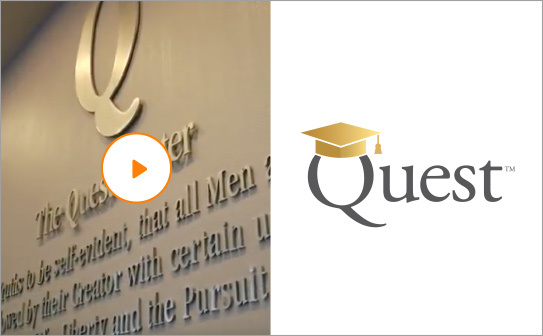 Take the Quest4 pledge today, get your education – and your life - in gear, and bank $100,000! of bachelor’s degree recipients change colleges—and nearly half of them lose some credits because of broken transfer policies. How much money will earn and save by graduating in 4 years rather than 6?